Not to be confused with the Michael Ball song of the same name, this single originally failed to reach the UK Top 40 in 1987, stalling at #67. 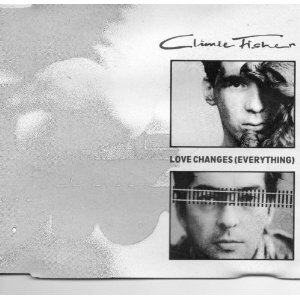 However, after "Rise To The Occasion" reached #10 in the same year (the song topped the charts in Holland and South Africa), Climie Fisher decided to release a remixed version of "Love Changes (Everything)". This was much more successful, reaching #2 in the UK on 17th April 1988 for one week, with Pet Shop Boys at No.1 with "Heart". This single was also the duo's only hit in the United States, reaching #23 here.it. The success didn't end there, though. The following three singles were also hits for the duo. A re-release of the debut single This Is Me reached #22, I Won't Bleed For You reached #35 and Love Like A River peaked at #22. Penned by Simon Climie, Rob Fisher and Dennis Morgan, "Love Changes (Everything)" was actually written with Rod Stewart in mind, but he turned down the song. The trio won the Ivor Novello award in 1988 for 'Best Song Musically and Lyrically'. 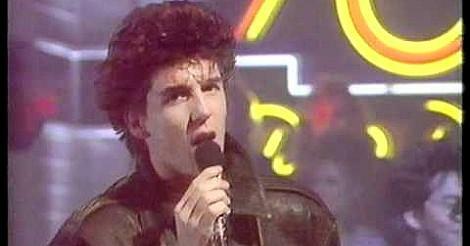 During the 80s, Climie Fisher broke into the UK Top 40 six times. Their debut album Everything was a European hit and reached #14 in the British album charts. However, after the follow-up album Coming In For The Kill failed to emulate the success (it stalled at #35), the duo split soon after its release in 1989. The British act consisted of songwriter Simon Climie on vocals and Rob Fisher. Fisher was previously the keyboard player in Naked Eyes, a British band who were active between 1982 and 1984. In 1991, Fisher co-wrote the hit song Cry For Help with Rick Astley, and also worked with Rick on his two albums Free and Body & Soul. Sadly, Rob Fisher died on August 25th 1999 after surgery. He was aged just 42. The other half of Naked Eyes, vocalist Peter Bryne, has been touring using the band's name (with a backing band) since 2005.